I'm so glad you've taken the time to find my home on the internet. 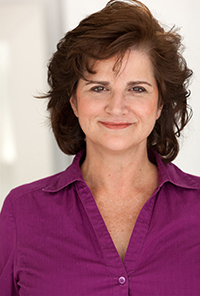 My name is Pam and I am a director, actress, playwright, and private coach. I have been teaching acting for over 15 years (currently at: the American Academy of Dramatic Arts and at T. Schreiber Studio, formerly at The Academy of Film and Television and at Stella Adler). I've coached actors currently appearing in several Netflix original series, including Julia Garner (Netflix’ Ozark and Spike TV’s Waco; see interview with Julia below). I'm also the Producing Artistic Director of Aching Dogs Theatre, and of the professional showcase venue called Lunch: Live! My philosophy is simple: to create a safe and nurturing environment that empowers actors to do their very best work. There are no mistakes in acting: you try something, you explore yourself and the character, and you see what resonates. If something doesn't work, then you've given yourself a gift: you've tried it, so now you can try something new. Please take a moment to navigate the site to learn more, and be sure to drop me a note at Pamannscott@gmail.com before you head out!